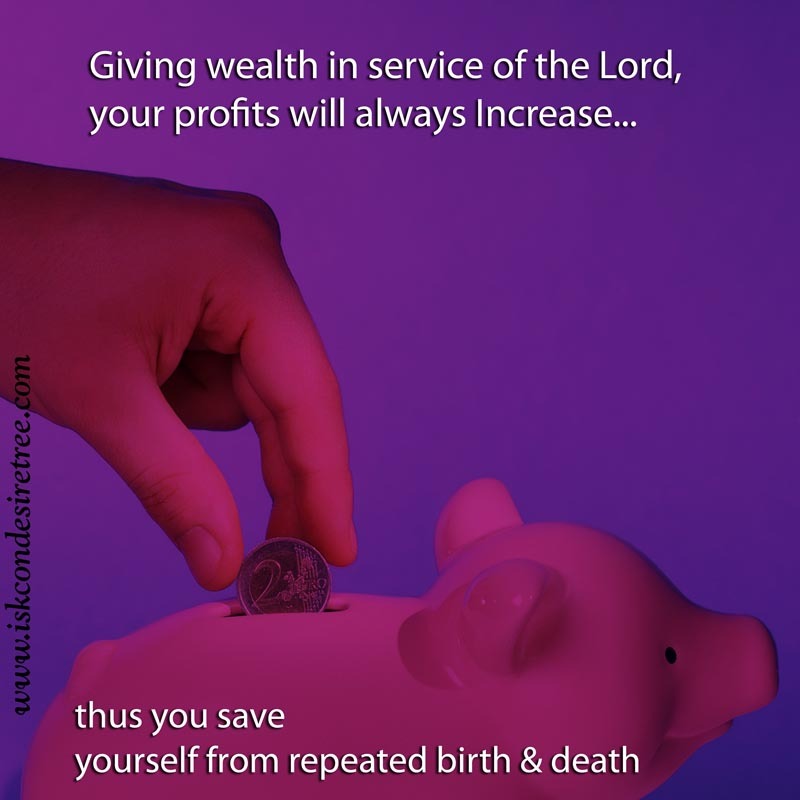 The best use of power and opulence is to engage them in the service of the Lord. 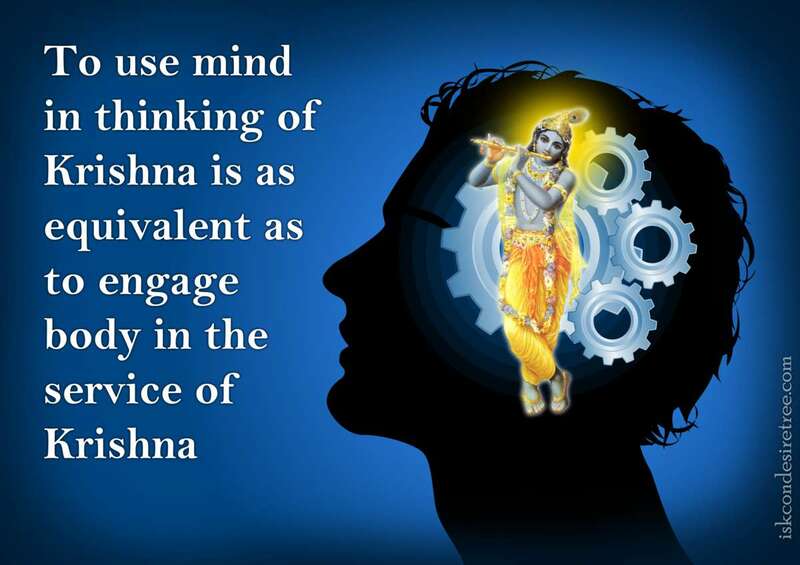 To use mind in thinking of Krishna is as equivalent as to engage body in the service of Krishna. 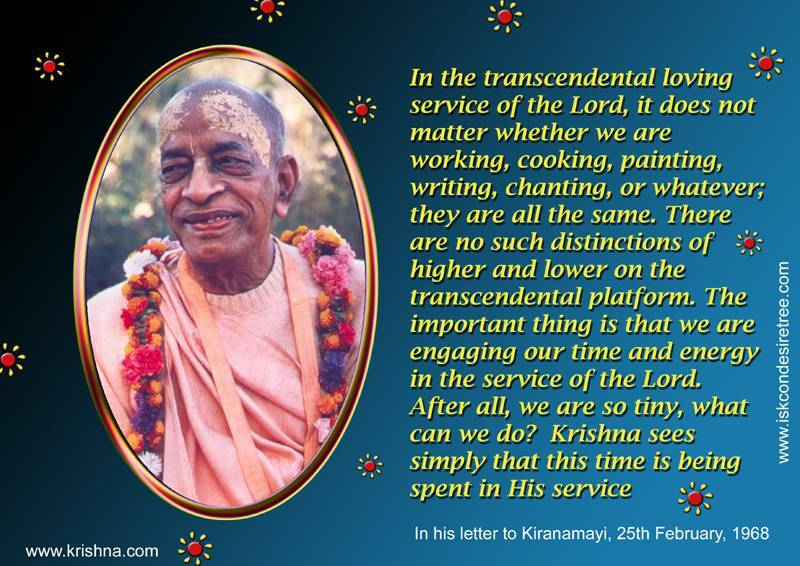 In the transcendental loving service of the Lord, it does not matter whether we are working, Cooking, Painting, Writing, Chanting, or whatever; they are all the same. There are no such distinctions of higher and lower on the transcendental platform. The important thing is that we are engaging our time and energy in the service of the Lord. After all, we are so tiny, what can we do? 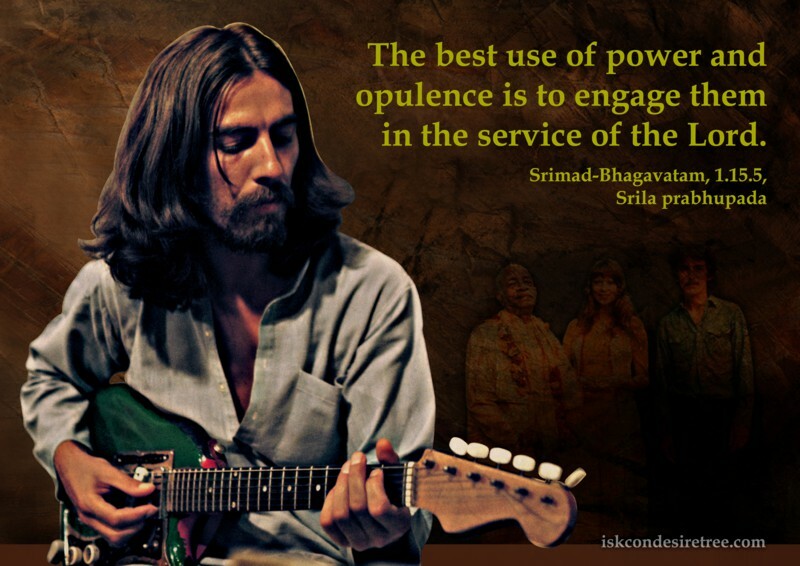 Krishna sees simply that this time is being spent in His Service. — Letter to Kiranamayi, 25th Feb, 1968. So go on with your organisation for distribution of my books through press and other modern media and Krishna will certainly be pleased upon you. 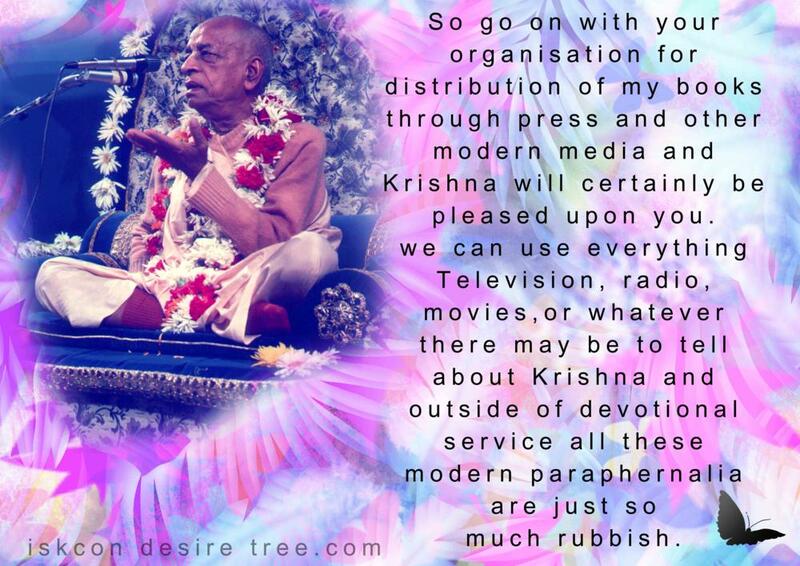 we can use everything Television, radio, movies or whatever there may be to tell about Krishna and outside of devotional service all these modern paraphenalia are just so much rubbish. 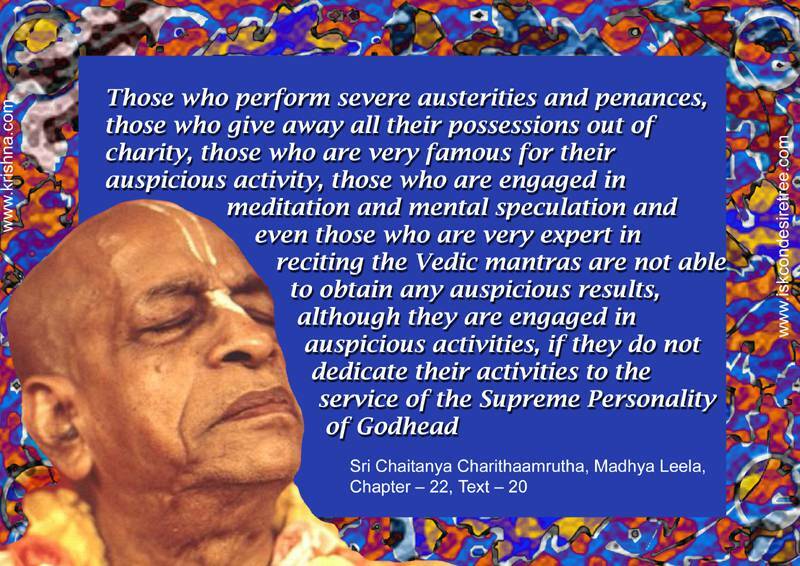 Those who perform severe austerities and penances, those who give away all their possessions out of charity, those who are very famous for their auspicious activity, those who are engaged in meditation and mental speculation and even those who are very expert in reciting the Vedic mantras are not able to obtain any auspicious result, although they are engaged in auspicious activities, if they do not dedicate their activities to the service of the Supreme Personality of Godhead. — Sri Caitanya Caritamrita, Madhya Lila, 22.20.